Polished smoked eucalyptus wood, antiqued bronze with silk-screened pattern or translucent semi-precious stones… Traditional materials of the finest quality always enrich the wine cellars of FWC which is in persistent search of innovative materials. Acrylic made its very first debut in wine cellars with FWC. 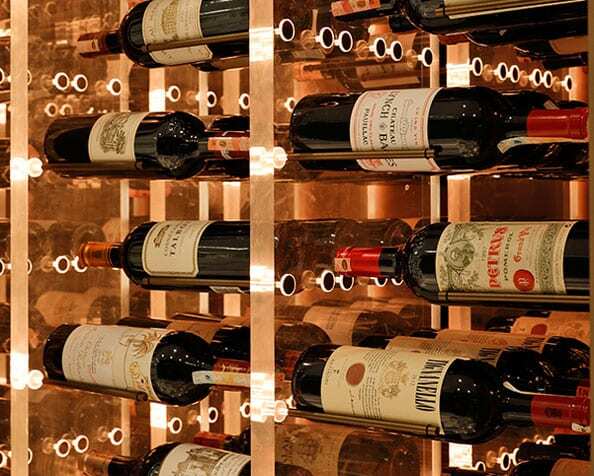 CNC-cut solid glass wine racks are one of FWC’s distinctive features. Genuine leather and the elegance of FWC’s cellars match well together.